At English Chiropractic, we are committed to giving people the powerful tools they need to help themselves stay better! 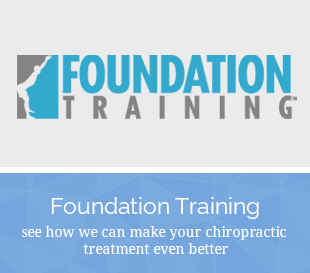 These tools include high-quality chiropractic care and Foundation Training exercises. 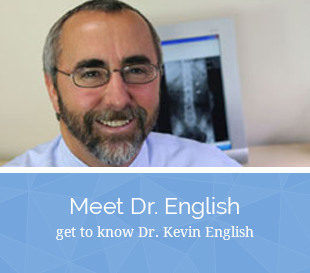 Goleta chiropractor, Dr. Kevin English wants to empower you with the knowledge you need to maintain your health. In over three decades of practice, English Chiropractic has helped the people of our community to reach their health goals and live actively. Dr. English’s chiropractic care is complemented by his extensive training in Selective Functional Movement Assessments and Foundation Training. In addition to traditional chiropractic care, we’ll examine your movement patterns and correct any abnormalities present with exercises that are easy for you to do quickly at home or work. Your body will be strengthened, and you’ll experience sustained pain relief. Our philosophy is that to provide great health care, we must teach you about your health. At our office, we’ll explain everything that is going to happen before beginning. You’ll know what you need to do to get better and stay well. We have exceptional working relationships with other health care providers and can work with them or refer out to them when neccessary. Our powerful healing tools include empowering you with home care. Contact us today at (805) 964-9839 to discuss how we can help you function better!